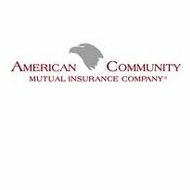 American Community Mutual Insurance Company is a health insurance company in the US. Unfortunately, due to financial difficulties with the company, they are no longer accepting new customers. Enter your zip code below and compare health insurance rates between reputable and stable companies in your area! According to American Community Mutual, in addition to not accepting any new policyholders, they are also terminating all policies with their customers as they expire. In other words, if you currently have a policy with American Community Mutual, you should continue to pay your premiums until your policy expires. If you do not pay your premiums, you will not have health insurance coverage unless you already switched to another company. All of your covered care will continue to be paid for by American Community Mutual as the federal government has stepped in to ensure that all policyholders get the care that they are paying for. American Community Mutual has negotiated a transition plan agreement with United Healthcare’s Golden Rule insurance company. While this agreement does not apply in every state in which American Community did business, for those that it does affect, you are able to transfer your policy to Golden Rule without any concern for being turned down for any reason. American Community Mutual products were sold via independent agents. Agents are being advised to encourage their clients to go ahead and make a switch from their company. Agents who wrote policies for American Community prior to April 2010 are no longer receiving commission payments from American Community because part of the regulatory stipulation for keeping the company afloat until all of their policies expire is that they stop paying this bill. Agents can continue to log into their account with American Community for any updates or information that they may need for their customers. American Community Mutual is still paying their claims. Doctors and hospitals are not legally allowed to directly bill you or place your account into a delinquent status for any services that should be paid by American Community. In this, you are protected by law. The problem that the company is currently facing is that they have more money going out than they do coming in. According to their May 2011 financial statements, their net premiums earned for May were $231,560; benefits paid were $374,647 a negative of $164,458. Year-to-date, the company has received $4,807,739 in premiums, but have paid $7,809,597 in benefits, a negative of $4,711,773. The only reason the company is able to continue to pay their claims is due to the surplus they experienced in prior years. In the past six months, the company has reduced their net surplus by $1.09M leaving them with a little less than a million dollars left in their accounts. As you can imagine, positive reviews for this company have plummeted. Some complaints are along the lines of the norm, such as the company cancelled a policy without provocation and so on. Now many of the complaints are regarding how slow the company is to pay their claims and, of course, there are complaints that the company is dropping policies. This is something that the company cannot control, however. Most of the reviews are irrelevant, regardless, simply because the company has no option but to stop writing policies and to withdraw from most of their insurance groups. Currently, they cannot afford to sustain the company. As you have probably guessed, there is no way for you to get quotes from this company or any of the independent agents licensed to sell products for this company. Prior to all their financial difficulties, American Community did not offer online quotes either. The good news is that you can use our free quote tool to get the online quotes that you are looking for. Simply enter your zip code and you will be able to compare online health insurance quotes from multiple companies!